Luxurious custom home. This home offers a swimming pool and hot tub, back to the Ranch Golf Course, gourmet kitchen, wet bar and a full size bar in the basement, theater room, pool table and game room, laundry room on the main level and upper level, beautiful wood doors and wood flooring, sizable master bath, tons of built in shelving through out the house, loft offers built in desk and book shelves, custom built in desk in the den, several recreation rooms can be used for a gym or craft room or a play room, etc. The walk out basement has a full kitchen with eating space and tons of storage space. 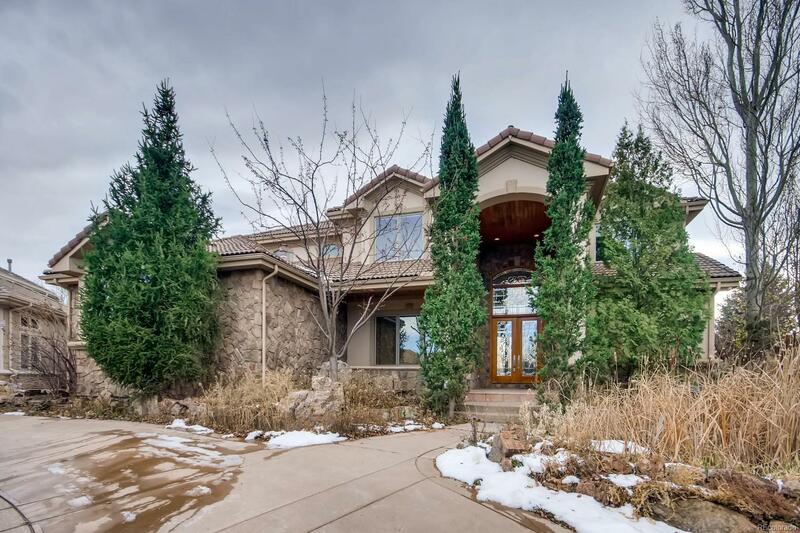 Must see inside to appreciate all of the extras that this home offers.